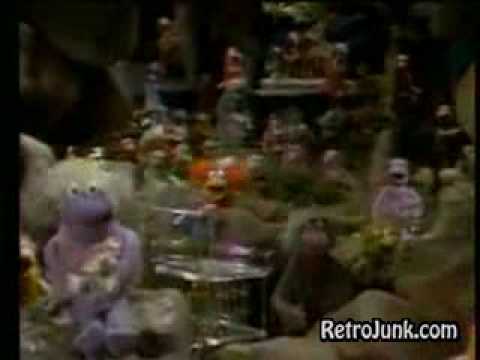 Fraggle Rock - Do You Remember? 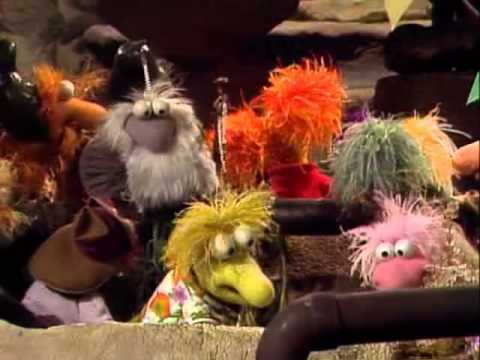 The Fraggles were an extension of (and were indeed created by) Jim Henson’s Muppets; bouncy, colourful and fairly eccentric they lived in a maze of caves in the depths of Fraggle Rock, in a slightly wacky ecosystem with the Doozers and the Gorgs (more of which later). Fraggle Rock was a multi-collaboration; firstly between Jim Henson Productions and Deluxe Digital Studios (a production, post-production and distribution company) and then with CBC Television and HBO in the U.S. and the ITV franchise Television South (TVS) in the UK. The main part of the programme (i.e. the bits where the Fraggles took a starring role) was filmed in Toronto (and later at the UK’s Elstree Studios) with the external scenes being filmed separately. Canada, the U.S., New Zealand, and several other countries all used the same externals: they featured Doc, an inventor who lived with Sprocket, his Muppet dog. Non-English speaking countries had their segments dubbed. The U.K.’s human element was The Captain (played by Fulton Mackay, who also starred in Porridge); a retired sailor living in a lighthouse. The outside shots were actually filmed at St. Anthony’s Lighthouse near Falmouth, Cornwall. This adaptation also had a furry companion called Sprocket. Mackay played The Captain for two series from the show’s start in 1983 until his death in 1987; the next series featured John Gordon Sinclair (Gregory’s Girl) as The Captain’s nephew P.K. before the role was taken over by Simon O’Brien (Brookside) as The Captain’s son B.J. Those who lived in the lighthouse were unaware of the Fraggle collective that lived deep underneath them, all except Sprocket who occasionally spotted the only one that ever ventured up into the light, Gobo. He was one of the five main Fraggles that the series concerned itself with, the others being Boober, Mokey, Red and Wembley. Each had their own distinct look and personality and each had their own job to do within their underground community. Gobo was clever and adventurous, and he always found time to be kind to his fellow Fraggles. Orange with purple hair on his head and tail, he had aspirations of being an explorer like his uncle Travelling Matt. Travelling Matt sent Gobo postcards detailing his latest globe-trotting exploits, which The Captain, unaware of the Fraggles’ existence, threw into his waste bin, thinking they’d been sent by mistake. Gobo generally kept his explorations to the caverns and tunnels of Fraggle Rock but he was brave enough to sneak up to the lighthouse to retrieve the postcards, which he used as inspiration whenever things down below got a bit tough. Gobo’s friend Wembley was the youngest of the bunch. Cheerful, full of energy and sporting a loud Hawaiian shirt, his haystack of yellow hair was often seen bouncing around as he enthusiastically played his bongos. Wembley had trouble making up his mind about things and was often found agreeing with everybody due to his hatred of conflict. His official job was being the siren for the Fraggle Rock Fire Department. Red was the most athletic Fraggle and loved sports, particularly swimming and diving and proclaimed herself an expert at rock hockey. When she wasn’t competing to be the fastest and strongest of the Fraggles she was busy teaching others to swim and maintaining the cleanliness of the pool. With her yellow skin and red hair, complete with yellow and orange highlights, pulled high in bunches Red was definitely a Fraggle that stood out. Despite the Fraggles’ general aptitude for fun and frolics, Boober had a much more pessimistic outlook. Constantly worried about disease, doom and the downfall of others, he was often to be found hiding from his latest fears and phobias or informing others about worrying health conditions. He did have two loves, however: laundry and cooking – his radish soufflés were described as ‘delectably light’. Mokey was the oldest Fraggle and the ‘mother’ of the group. Always looking out for others, particularly the more vulnerable Boober, she was both a carer and a dreamer. She enjoyed meditating, painting, writing poetry and her diary but was always ready to stop what she was doing to help somebody else. Her job was to pick radishes from the Gorgs’ garden. Oh yes, the Gorgs. The Fraggles weren’t the only creatures inhabiting the Rock. One of the many tunnels in the rock led you to the Gorgs: a family of giant, bulbous nosed human-ish Muppet beings. Despite seeming to only inhabit their small house and garden the two adult Gorgs liked to call themselves the King and Queen of the Universe (compete with crowns), with their even larger son Junior as their Prince. They grew the radishes and were incensed when the Fraggles stole them, although the little creatures certainly didn’t see it as stealing. Living underground, side by side with the Fraggles were the Doozers, a team of small hard-working green beings in hard hats and boots and operating mini construction vehicles whose days were spent building elaborate scaffolding for no real point whatsoever. Well, I say no point whatsoever but there was a sort of logic to what they were doing. You see, the Fraggles found these structures absolutely delicious (they were somehow made out of radishes) and ate them whenever they came across them, which in turn made room for the Doozers to continue building even more, giving reason for their existence. Despite having no other form of communication, these two very different species coexisted together very well. On first glance Fraggle Rock was another cheerful, vibrant children’s programme. Delve a bit deeper however and you’d see that it used the lives of Red, Boober, Mokey, Gobo, Wembley et all to explore deeper subjects in an easy to understand way: attitudes towards other people, your own identity, the environment around you and social conflict. One of the most important aspects of the Fraggles’ lives was music; each story contained at least two songs written specifically for the programme, plus other incidental pieces throughout. Several of the episodes gave the whole focus of the storyline to a music related issue. The theme song to Fraggle Rock itself was undeniably catchy and uplifting and it even got to number 33 in the UK Singles’ Chart. See? Bet you feel better already! Yeah, the Fraggles ate radishes as well as Doozer sticks (radishes had become their main diet ever since all the edible mushrooms in Fraggle rock died out, IIRC). It was Mokey's job to gather radishes for the Fraggles, but the Doozers had their own radish mine, too. Junior Gorg grew the radishes. Also, the lighthouse was only in the British version of the show. 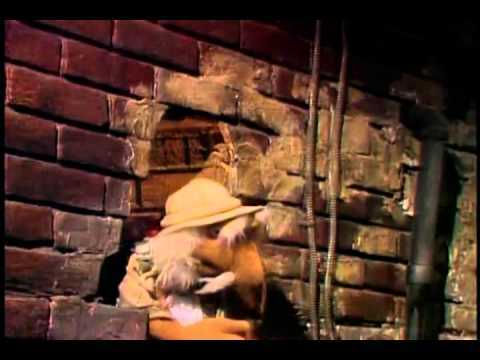 The basic American version had the Fraggle hole in Doc the inventor's basement. There were one or two continental European versions with slight differences in setting as well. WOW WOW and WOW. Pure genius i still love it now. Very very "Colourful" and very "Trippy". Best childrens tv prog of all time. Doozers, Wembley , Mokey, Gobo, Red(she rules of course) and Sprockett also Uncle traveling Matt. Cant beat it!!!! The Doozer sticks were made from ground up radishes. Mokey's job was to gather radishes from the Gorg's garden.